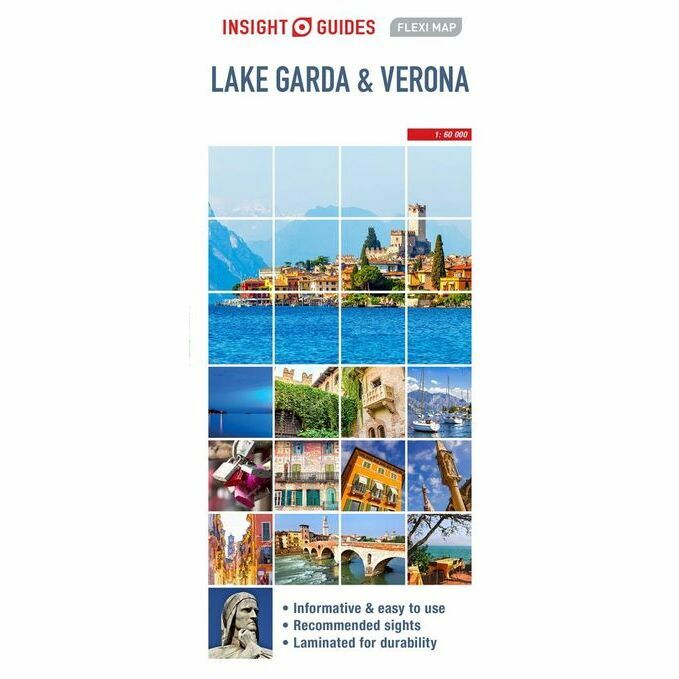 Flexi Map Lake Garda & Verona is laminated, durable and has its own index that has been categorised for ease of use. - A list of recommended sights, divided by theme and linked to the mapping by numbered markers. - A handy information section with concise details on getting around, tourist offices, money, tipping, opening times, public holidays, telephones, emergency telephone numbers and climate. - The main map shows all one-way streets, car parks, pedestrian zones and public transport routes.